I’ve never really been into racing games. They’re always ok to play for a bit of a distraction, or smashing friends with blue shells when they’re in first place, but there have been very few that have ever held my attention. I think only the original Gran Turismo on PS1 and Super Monaco GP have ever really had any staying power for me. Because this is a retro games blog (and I decree that PS1 is NOT RETRO) I thought I’d spend some time thinking about Super Monaco GP. 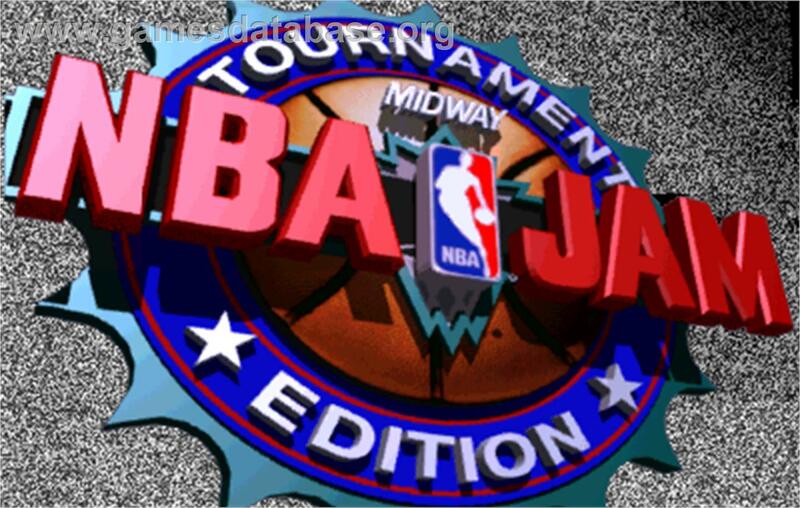 Now, in my memory this is a Sega Genesis game. However, I’m starting to wonder if that is actually the case. You see, it is at least ALSO a Sega Master System game. Thank Gord it’s also a Genesis game, I have not lost my mind grapes! This might’ve been one of the first games I had on my Genesis, I certainly played it a lot. Or, did I even OWN this game? 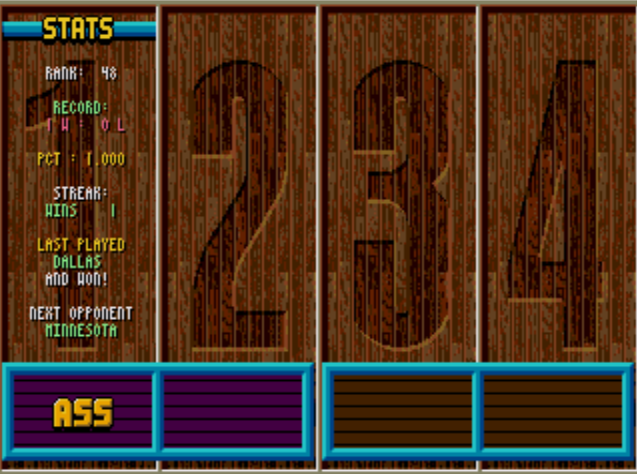 I have a really strong association between a friend of mine and this game… maybe it was HIS game? At any rate, I remember the gameplay being smooth and the courses really challenging. One particular corner sticks out in my mind: after a looooong straightaway having to break hard and gear down from 7th to 3rd gear. Strange that I can remember that one particular corner, but not if I even owned the game. Brains are weird. I remember a cool league or circuit-type business that was a lot of fun, there must’ve been standings, but I don’t remember how I did. 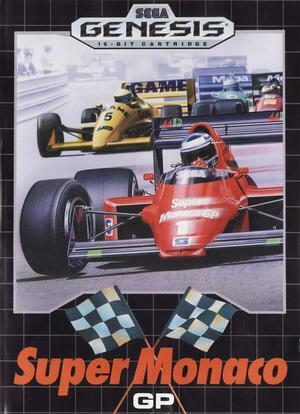 This entry was posted in games, pre-game and tagged did i own this, genesis, poor remembering, pregame, racing, sega master system, super monaco gp on April 18, 2014 by forsoothed. Dear readers, did you guess that after playing Blades of Steel I would immediately fall into a Sega Genesis retro hockey game pit and never return? Well you didn’t, but if you HAD guessed that you would be correct! PLAY ALL THE NHLZ ON THE GENESIS’Z! I’ve been working through NHL’s 93, 94, and 96 (not sure why I skipped 95) looking for the hockey experience that I remember. What I’ve learned so far is that, unsurprisingly, what I remember doesn’t exist… or at least I haven’t found it. NHL 93 has the slick, tight control that I fondly remember – after a few minutes I could deke almost any CPU player out of their snowpants. But no one-timers! WTH? 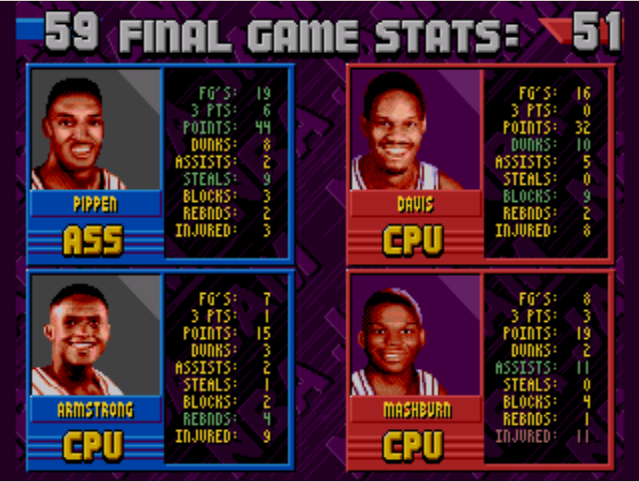 NHL 94 brings the one-timer thunder, but they’re really clunky and I couldn’t actually get that many to fire. 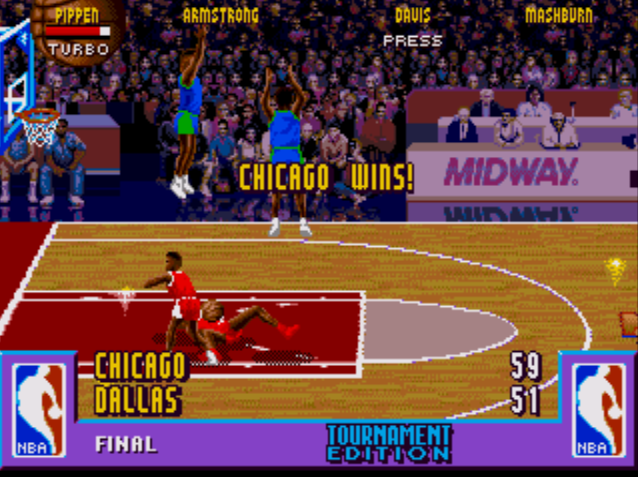 I have this game for SNES as well, but in addition to clunky one-timers, the gameplay was also pretty sluggish. I have a suspicion that my SNES controller is about to give up the ghost, so I won’t kick the SNES version TOO much. Also, apparently NHL 94 turned 20 last year and it made Jeremy Roenick a star! Huh, the more you know. 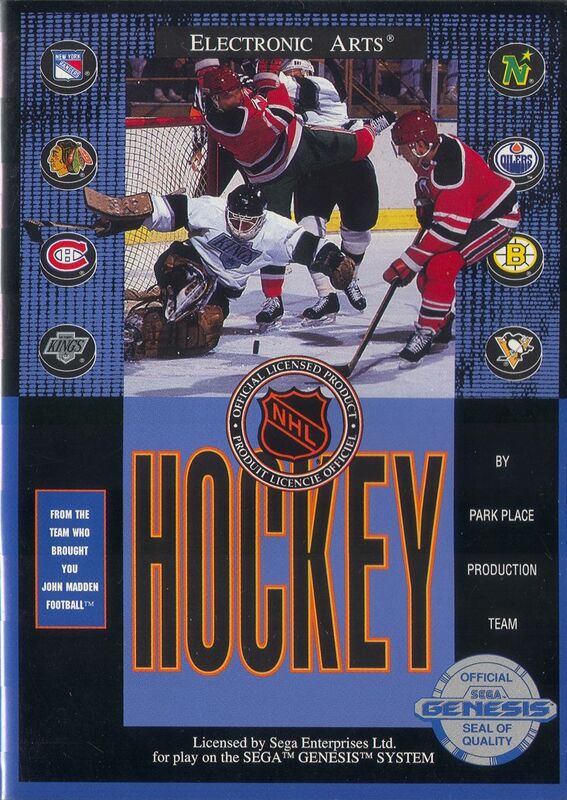 NHL 96 is the closest yet and I spent awhile with it last night. Its gameplay is FAR faster than 93 & 94, and the AI is so stupid. SO STUPID. My own defencemen kept knocking me off my line of attack (if you recall, the best defence in these games is to flatten your opponents – the best players are the best checkers… naturally, Gentleman Joe Sakic LAYS PEOPLE OUT). And, of course, my Oilers are freaking terrible. In. Each. Game… Does nothing ever change? This entry was posted in games and tagged blades of steel, genesis, nhl 93, nhl 94, nhl 96, nhl hockey, random thoughts, sega on February 12, 2014 by forsoothed. A Genesis that transforms into Megatron? 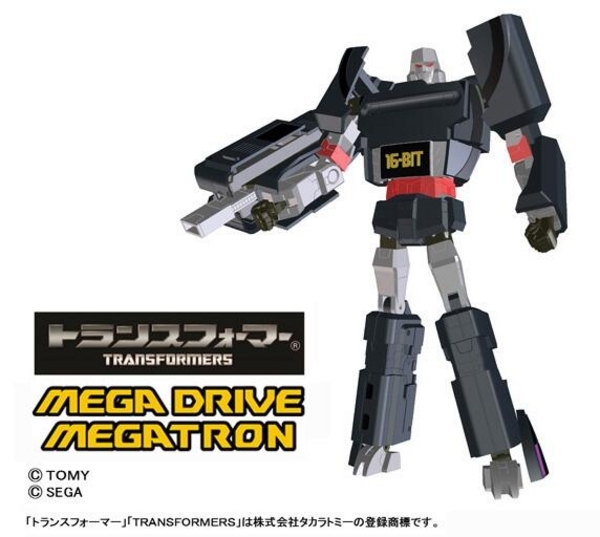 Via IGN (the post IGN references at tformers here), apparently there will be an Asia-only release of a Sega Genesis that transforms into a classic-ish Megatron… so cool. It’s unclear to me if this will be a fully functionaly Genesis, or if it’s just for “this-looks-awesome” appeal. Either way, it looks badass. This entry was posted in games and tagged genesis, ign, megatron, sega on February 11, 2014 by forsoothed. The game might have a really steep skill/ learning curve. I’m guessing this is going to happen to me on real killers like Mega-Man. I remember trying out the series as a kid and having no success then – I’m guessing old me is going to get killed… a lot… and not make it very far. The game might take more of a time investment than I’m willing to give. Some of the big RPG’s will probably land here. Though, if I come to one of those games I really should know what to expect, so if I give one of them up it’s really on me. Altered Beast is the perfect game for the inaugural Played it for 5. This is a dumb game. 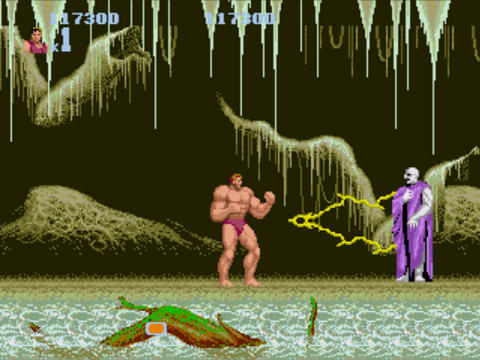 I think Altered Beast was originally included with my Sega Genesis when I got it and I don’t remember ever liking it. At least partially so, because I was epically and completely bad at it. 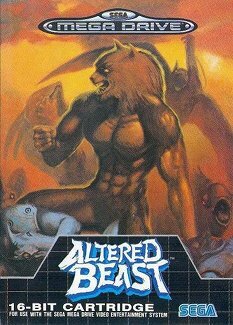 Now I was/am bad at most old games, but I was/ continue to be ridiculously, embarrassingly, hilariously, side-splittingly bad at Altered Beast. So bad in fact, that I don’t remember ever getting past the 1st boss. I mean, good Gord! There’s a flying thing that descends on your head to kill you AND YOU CAN’T STOP IT. Stupidity abounds! 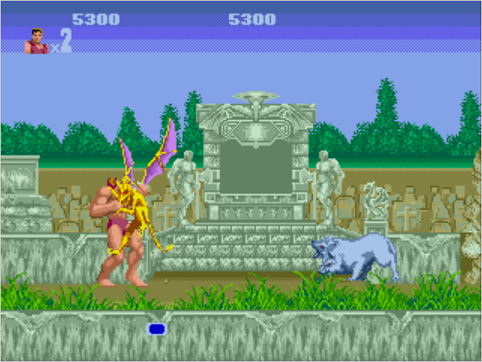 Altered Beast is a bad game. It’s really bad. And seriously, what’s up with this guy? This entry was posted in games, played it for 5 and tagged altered beast, genesis, played it for 5 minutes, sega on January 31, 2014 by forsoothed. It seems like the Retron 3 is a PAL machine. Frankly I didn’t even know that was a thing for videogames until I plugged in my brand spankin’ new/old copy of Streets of Rage 2. I guess it makes sense that would be a thing… but seriously? So, at least Genesis games are locked to regions on this slowly-becoming-more-useless-as-time-rolls-on machine. Sweet Zombie Jesus Retron, why would you sell PAL encoded hardware in North America??? This entry was posted in games and tagged genesis, ntsc, pal, retron 3, review on January 27, 2014 by forsoothed.